This week on the Mama Marcie facebook page, I asked the question "What is your biggest obstacle in living a more natural lifestyle?" The majority of the responses had to do with finances. I can completely relate to this feeling - we barely squeak by at the end of the month, but we do make natural living a priority, and I would like to give you a few tips on how we do this. In the neighborhood where we live, there is one grocery shopping option. With two kids in tow, I rarely want to drive the 15 miles to get to an organic grocery store, nor do I have the money to shop at such places. 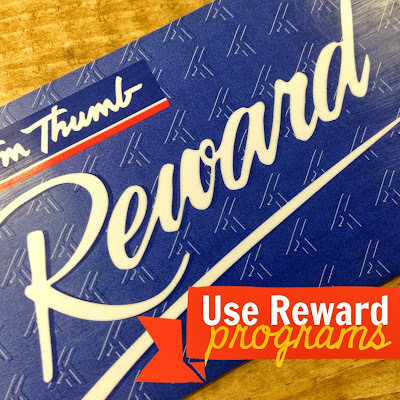 We shop at Tom Thumb, and recently I discovered the benefit of using their store reward card and the online coupon service that goes along with it. Kroger offers this benefit as well, but I have less experience with it since there is not a Kroger close to us. I spend a few minutes before I go into the store to scan the app and choose the coupons I will use. Last week, the organic strawberries were actually cheaper than the "traditional" strawberries. I have gotten organic cereal bars for 50 cents a piece, buy one get the 4th free. The produce coupons are the best, and on top of that, there are often gas reward coupons too... I can earn 50 cents off per gallon of gas simply by doing my normal grocery shopping. Last week, not including our produce co-op pick up, I only spent $80 on groceries for a family of 4 - breakfasts, lunches and dinners for 6 days. I can't always spend that little, but with planning, we make it work. The cost of produce is greatly inflated due to the cost of shipping the merchandise to your local store. When you buy local, you are cutting the middle man, saving on shipping costs and getting a better product. Like I mentioned before, we are a part of a local produce co-op. Every other week, we pick up a bin with 15-30 lbs of local, organic produce for $30. For great quality produce, this is a great price. If you live in Dallas, there are LOTS of options for local produce co-ops, milk, cheese, and meats. When you buy local, it is a benefit for you, and you are also supporting your local economy - win, win! Let's talk Grass-Fed beef for a moment. When you go to Whole Foods and purchase a pound of grass fed beef, you are easily looking at spending $10 or maybe more depending on the cut. Find a local farmer that you trust (Know your farmer!!) and ask about bulk discounts. Most ranchers will cut the price on large amounts of beef. A friend of mine recently got grass fed beef for $3.50 a pound this way. Near me, it is closer to $5 a pound, but it is still a discount. It is a bigger cost up front, but then you have a stocked freezer and have saved money in the long run. $5 for a bottle of foaming hand soap? $5 for a bottle of 409? $8 for fabric softener? Do it yourself and save money. You can find my recipe for Thieves Foaming Hand Soap here. You can see where I have discussed the benefits of Theives Cleaner here. We no longer use fabric softener for laundry at all. I simply put a small amount of vinegar in a Downy ball and throw it in the wash - removes odors and softens fabrics, naturally and cheaply! There are TONS of household items that you can change or make yourself to save money. And surprisingly, they do not take as long to make as you would think. The hand soap I make - roughly 1 minute to make! Have you ever scanned through Amazon's Subscribe and Save department? A LOT of the products they have available for you to save money on are organic, natural products. We save money using this program on Diapers, Wipes, Laundry detergent, and other household items. Diapers are significantly cheaper this way if you are also a part of Amazon Mom. If you are in Dallas, have you been to the Grocery Clearance Center? I was amazed at the wonderful finds. Well known brands nearing their expiration date at a fraction of the cost at a normal retail store. There is another well known clearance center in Fort Worth that I have heard great things about as well. Check google for something similar to this where you live! When we eat out, we blow through our budget in no time. To find good, quality food at a restaurant, you have to spend more money. So, choose instead to cook and eat at home. We have vowed to ourselves to eat at least 5 dinners at home each week, but we usually eat 6+ times at home. I pack lunches every night, and the girls and I eat breakfast at home before going to school every morning (mm, smoothies!). Before I head to the grocery store and buy everything that looks tasty, I sit down and plan my meals. I plan around the veggies that are available in our bin, I plan around the meat that is available in our freezer, and I am able to look at my list and "shop from my pantry" before spending more money at the store. This has been one of my biggest money savers. I can easily go to the store and blow through money, but when I go with a plan, I spend less and get more quality items. Ok, I admit, this is not a step I have taken. To me, gardening is frustrating work. Whatever the opposite of a green thumb is, that is what I have. But, if you love to be outside, if you love to dig in the dirt, and if you are passionate about knowing where your food comes from, why not start a garden!? Can you imagine going outside and picking veggies for your dinner that night? Sounds amazing to me! Don't have space? Think about container gardening. Even if you only grow your own herbs, it's still a financial savings - that is my goal for next spring - starting small with herbs. My main goal with this post is to encourage you that you CAN live a more natural lifestyle - it is not out of reach. Like I said in my entry about Simple Things You Can Do To Green Your Home, start small. Choose one thing at a time to "green" and stick to it. You can do this!